“Genre” is an artificial construct that serves marketing execs more than consumers—at least as far as gaming is concerned. Shooter fans that think RPGs are “too complicated” may not realize that their favourite online game utilizes role-playing-esque levelling mechanics; RPG diehards who dislike action games often don’t realize newer entries in their favourite series are cribbing things from hack ‘n slash titles. Yet the genre divide continues, mainly because it’s what we’re used to, and because it makes selling games easier. It’s precisely because of this that, among several other reasons, that NieR: Automata is so fascinating—from start to finish, it refuses to be classified. Sure, elements of different genres are here, snippets of stylistic choices from other titles. Yet it is, undoubtedly, very much its own strange, beautiful thing. But then, what else could be expected from the famously elusive and oblique Yoko Taro? This is the man who ended his first major title with an army of mutant babies ripping a tear in the space-time continuum, and whose most recent title featured a cornucopia of dragon piss jokes. He’s an interesting guy, to say the least, in the same league as other famous gaming auteurs like SWERY and Yoshiro Kimura. If anyone is going to make a game that defies accurate classification, it’s Yoko. 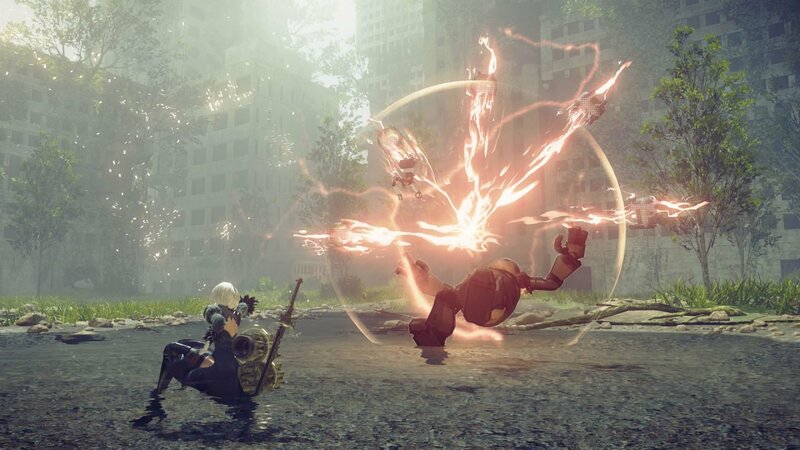 On a very surface level, though, NieR: Automata is a post-apocalyptic action game about androids protecting a ruined earth. They’re told that human beings are alive and well on the moon, and that their job is to destroy the berserk machines dominating the planet. Only then can the humans come back and repopulate the planet, restoring the natural balance. From the outset, it seems like a narrative that is very easy to grasp and something that mainstream audiences will be comfortable with. That’s before the remaining, oh, 20 or so hours happen. After players reach the first main ending (of which there are several, each with their own long narrative thread,) Automata shows its true face to the audience. Which is to say, Yoko goes off the rails in the fantastically bonkers way that only he can. Robots questioning the tenants of Nietzsche, questions on the idea of gender as a social construct, moral problematizing of human and machine relationships, whether or not society is just a false construct that we use as a security blanket—there’s a lot of heavy philosophical lifting required to entirely grasp the narrative here. Even then, there are plot threads and ideas that will leave players asking questions long after they’re done. It’s not a game that one can expect to just “get” once they finish it. In a world where gaming’s idea of “complicated narratives” is “kill a person or don’t,” Automata makes many other philosophical pursuits in gaming look like child’s play by comparison. Yoko is, without a doubt, a developer preoccupied with making art with a capital “A”, and this game is his most fully-realized work to date. It’s also worth noting that NieR: Automata has some of the best female characterization I’ve seen in a game. 2B, Anemone, the Commander, and other complex, nuanced women dominate Automata’s narrative. Their decisions and actions are almost never dictated by men, because they have far more pressing things to worry about. Yoko has been particularly vocal in the past about his disdain for most female characterization in gaming, and his critiques are backed up by his excellent writing here. There are countless games, at this point, where “somebody’s been kidnapped and I’m sad,” “I have issues with my dead parents,” and “I have to avenge someone” passes for good female characterization, but frankly, that’s just taking bad male characterization and slapping a lady on it. In my view, Yoko has made a whole cast of complicated, self-determined women that are the major movers and shakers in a post-apocalyptic, ruined future scenario. That is significant, and puts Automata in the same league as Life Is Strange and VA-11 Hall-A as a stellar example of portraying women as more than love interests or murder machines. All this being said, however, Yoko’s games have often suffered in the gameplay department thanks to so much work being focused on the narrative side of things. Thankfully, Platinum is on board this time around, and I sincerely hope this isn’t their last collaboration. This is a developer who’s needed a hit since Bayonetta 2, with their last few titles feeling like half-efforts to longtime fans like myself. Automata is that hit, as far as I’m concerned, as it is their most ambitious title yet. For the first time, they’ve successfully married their fast-paced, dodge-heavy action to the scope of an open world, and the results are nothing short of magnificent. Getting in the mix with scores of adorable robots and twisted mechanical monstrosities in large, open arenas is a liberating feeling. Players are no longer constrained to linear corridors or small rooms—they have whole fields, desert vistas, and dense forests to fight through. It’s the largest sense of scale that Platinum has ever messed around with, outside of perhaps the cancelled Scalebound, and it’s something I’d love to see more of from the developer. 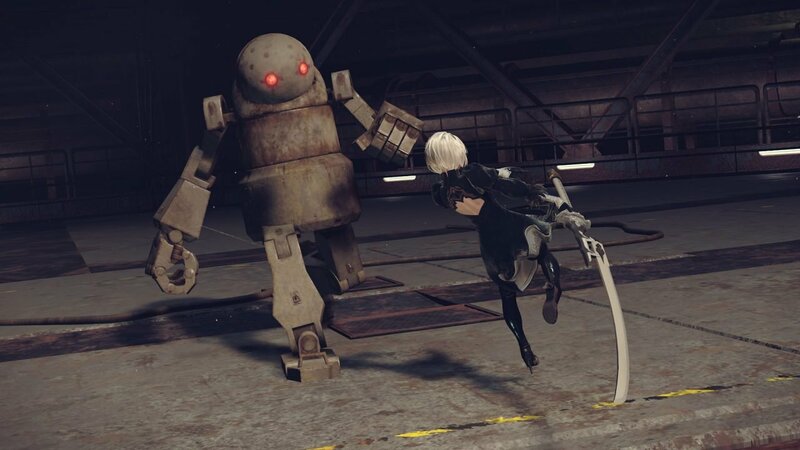 Yet, Automata is much more than Bayonetta-esque combat. It’s also a platformer, sometimes 2D, sometimes 3D. It’s also a bullet hell game, with whole levels and mechanics based around Gradius-style shootouts. 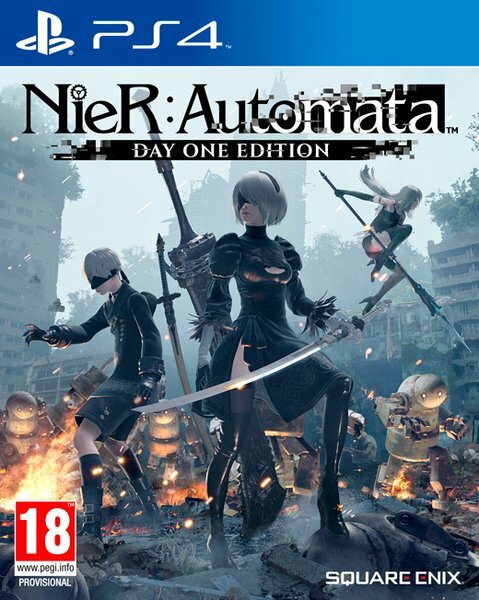 Oh, and it’s an open-world RPG on top of that, with one of the most complicated and interesting progression systems I’ve seen to date, one that lets players truly experience it however they want. See, Automata is a whole grab-bag of genres thrown into a single game, but unlike other attempts at cross-genre hybrids, these never feel like distinct sections. Hacking and slashing is informed by the shooter segments, the platforming informed by a player’s mastery of movement in combat, the levelling itself informed by how one performs in every other part of the game. Everything in NieR: Automata is a mechanic to be mastered, and these mechanics always inform each other in significant ways. It is a master class in Game Design 101, because there are no unnecessary mechanics, nothing that ever feels trivial (outside of maybe the cute fishing minigame.) Right up until the end, players are demanded to master every in and out of the game if they hope to see the ultimate ending. In a gaming landscape filled with sprawling open-world games plagued by same-y mechanics, many of which serve no real purpose, Platinum has shown other titles how it’s done. It helps that the world players explore and fight through is an unforgettable one, teeming with mysteries and secrets at every turn. Unfortunately, it is clear in terms of graphical horsepower that Automata was not given a huge budget, yet the stellar art direction helps one almost always forget that. Players will soar over the ocean, roam around robotic amusement parks and Castlevania-esque castles, fight through ruined seaside cities and robot factories retrofitted into disturbing churches. A good art direction has always meant, and will always mean, more than how many polygons are on the screen at any given moment. NieR: Automata has one of the very best in gaming, and in the visual department, is a stunner in every area. These visuals are accompanied by Keiichi Okabe’s wonderful score, which blends several languages, musical styles, and genres to craft a multi-layered soundscape that evolves with the game. Every enemy encounter, every narrative beat, every new vista; Okabe’s score is there with subtle yet powerful emotional evocations. It’s the sort of soundtrack that sticks with you in your daily life, and having played this game for over a month, I can vouch for that. Automata’s music is amazing in its own right, and unlike anything on the marketplace. NieR: Automata, with the combined force of its excellent writing, mechanical mastery, and aesthetic beauty is a sight to behold and experience. Its narrative thesis on the nature of fabricated social constructs is surprising in its profundity, and supported by the gameplay’s argument that genre itself is an arbitrary construct. Like the best academic papers, the game states a thesis, defends it to death, and by the end, cements it with a jaw-dropping conclusion that restates the thesis in the most powerful way possible. It is, in short, a masterwork of storytelling and design that’s head and shoulders above the competition. 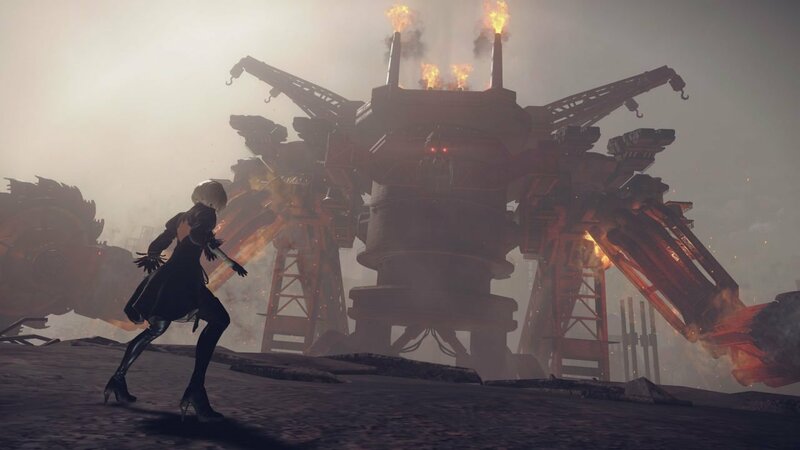 There was no point in my 30-plus hours playtime that I felt NieR: Automata should have done more or less of something, which is rare—even games that I love dearly often have their own pitfalls and hiccups that I’m willing to concede to. I have not felt this strongly about a game’s significance or quality since I finished Metal Gear Solid 3: Snake Eater over a decade ago. Up until this year, Kojima’s classic was my personal golden standard for gaming as an art form. That golden standard is now, irrevocably, NieR: Automata. 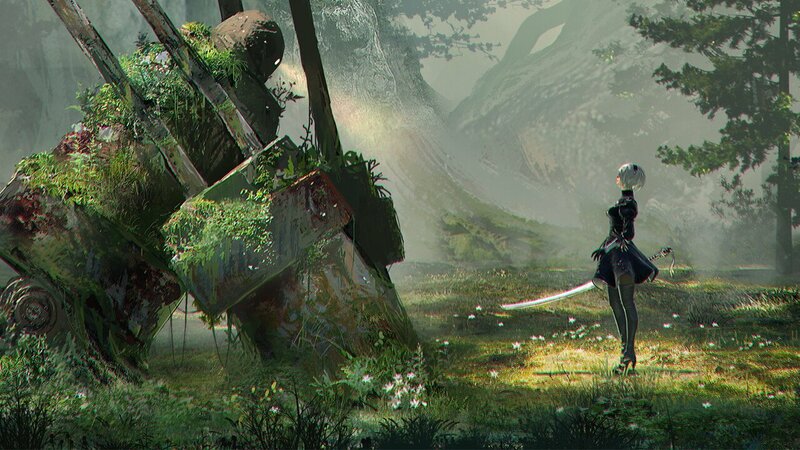 NieR: Automata is the rare gaming experience in which narrative, aesthetics, and gameplay all complement each other to form a perfect storm of master class game design. A truly exemplary example of what video games are capable of as an art form, and a new personal favourite.